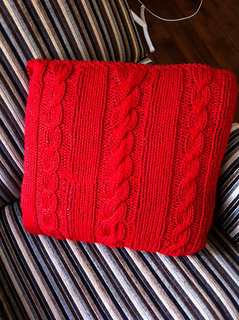 This smooshy cushion cover is worked in the round. 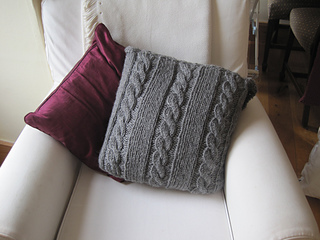 It has a series of cables, both thick and thin, on the front, and the back is worked in moss stitch to add texture. 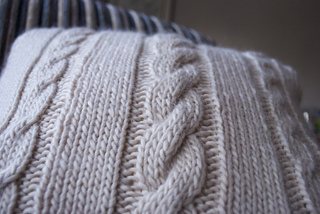 A moss stitch button flap means the cover is removable for cleaning. I suggest using the smooshiest, cuddliest yarn you can find! 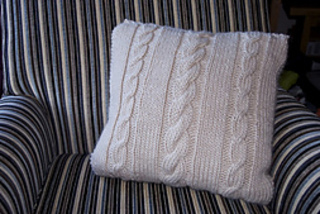 I’ve had some reports that there is a problem with the download - if you’re unable to download here on Ravelry, I’ve now published the pattern on my blog here.